Dagenham & Redbridge have signed defender Damien McCrory on a two-and-a-half year deal from Plymouth Argyle. The 19-year-old left-back has joined the League Two club for an undisclosed five-figure sum. The former Republic of Ireland Under-19 international has been out on loan this term with both Port Vale (where he also had a spell last season) and Grimsby. 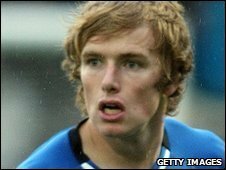 He signed as a professional for Plymouth in 2008 having come through the club's junior ranks. "Since Scott Griffiths left we've brought in loan players and all those players did their best for us," said manager John Still. "But we always wanted to bring in our own player. "We identified a number of players to play left-back and Damien was first choice. "He's a young, ambitious player, which fits into our normal criteria."